Gun laws range from state to state, and it can get confusing keeping track of all the ones that apply to you as a responsible gun owner in the state of North Carolina. How difficult it is getting a gun in North Carolina will depend on what type of gun you want to buy, with some additional hurdles for anyone trying to buy a handgun. Luckily for you, we’ll go over everything you need to know to buy and own a gun, and more importantly, when and where you can use it! Are you sitting down? You might need to be, because there’s a lot to take in when it comes to the handgun buying process in North Carolina. The biggest challenge in the purchase process is getting the permit to be allowed to buy the gun in the first place! North Carolina does not allow for the sale or transfer or a handgun without a Pistol Purchase Permit, or a North Carolina CCW permit held by a resident of the state at the time of the purchase. You can’t transfer that heirloom 1911 to your cousin visiting from another state, unfortunately. To get a pistol purchase permit, you’ll have to apply to the county sheriff’s office of the county you live in. On the bright side, the permit is good for 5 years from when it is issued, so you can apply for one beforehand to have it ready while you save up for that shiny new gun! If the Sheriff decides you have another reason for wanting the handgun, your application will be denied. Either way, you will receive either a denial letter or the permit within 30 days of your application. Is under a court restraining order for harassing, stalking, or threatening a domestic partner or child. Each permit is only valid for the purchase of one handgun. You need to apply for a separate permit for each handgun you want to buy. There’s no limit to the number of permits you can apply for at once, though, so you’ve got that going for you. The actual buying process! Once you’ve made it through the obstacle course in getting the purchase permit, there are some additional requirements you’ll have to meet in order to buy a handgun. To save yourself some of the hassle, you can arrange for a private handgun sale. This will let you skip the background check, but more importantly, let you buy a handgun as early as 18 years old. The state of North Carolina only requires you to be 18 or older to buy and own a handgun, while the federal government requires you to be 21. Since your local gun store follows the federal laws, you won’t be able to buy a new gun from them until you’re 21. Between 18 and 21 though, you can buy through private sales as long as you have the permits and can afford them! After all those rules about handguns, buying long guns is surprisingly simple by comparison. First of all, no permit or license is required to buy a long gun. Just like with handguns, if you make the purchase through a private sale, you can avoid the background check step. 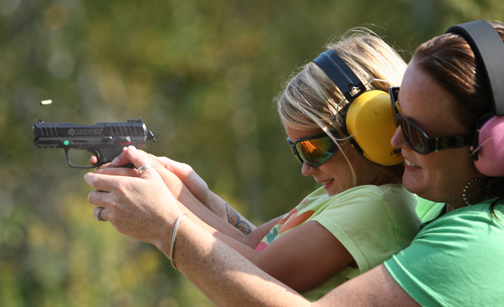 Children under 12 must be under the direct supervision of a parent or guardian to use a gun, loaded or unloaded. Ideally you would supervise a child that is 13 or older also, but it is not legally required by law! Never too young to learn gun safety! Now to the good stuff. Open carry is allowed in North Carolina! Think of it as your reward for making it through the horrors of getting that purchase permit! BUT, you can’t just carry it anywhere. To be able to carry concealed requires a CCW permit, unless you want to just carry around the house or on your property. You can do whatever you want on your own property, but without a CCW permit, you’ll have to remember to change to an open carry configuration once you leave your property. 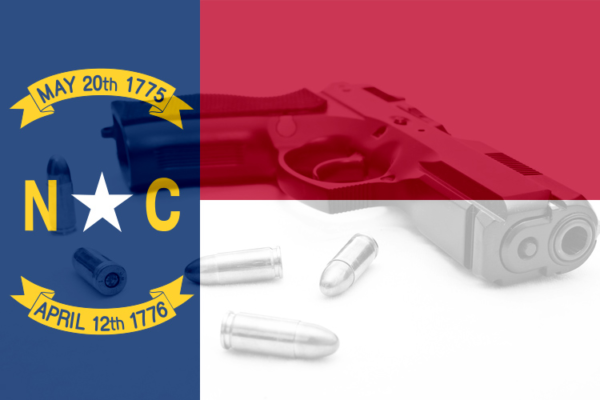 For those of you interested in how to get a North Carolina CCW permit, we’ve got a page dedicated to just that, so hop on over to check that out after you’re done here! 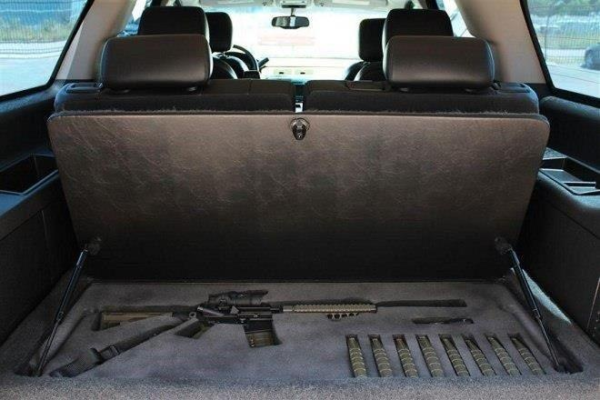 You’ll need to be careful when transporting your firearms, since there are some specific laws on how they must be stored when in the vehicle with you. Because open carry is allowed in the state, one option is to have the firearms visible, so that there is no way to argue they are being concealed. Putting your Glock on the passenger seat probably isn’t the safest thing to do, but some sort of visible holster would probably do the trick. If you don’t want to have the gun sitting in the open, then you must have it stored somewhere that is not readily available to you. That usually means sticking the gun in the trunk, so that no one in the car can access it easily. We all have a trunk like this, right? For our friends into the exotic ammunition types, you’ll need to keep in mind that North Carolina does not allow for any teflon-coated bullets. If you absolutely have to buy or make those types of bullets for your rounds, you may want to look at moving to another state. With all this talk of buying and carrying guns, we need to also remember the whole point of having guns in the first place: self-defense! North Carolina also believes in your right to self defense, and has adopted both the “Castle Doctrine” and “Stand Your Ground” policy into the books. Under the “Castle Doctrine”, you are allowed to use deadly force to defend yourself and others when you are at home, in your “castle”. You knew or had reason to believe an illegal and forcible act was occurring. And because not all threats occur when you are at home, the state also allows for its citizens to stand their ground when faced with imminent harm. As long as you are somewhere you are legally allowed to be, you do not have a duty to retreat and are justified in using deadly force if you believe it is necessary to prevent imminent death or great bodily harm to yourself or someone else. But keep in mind, just because you do not have a duty to retreat does not mean you must use deadly force in every situation, even if you are justified in doing so. Sometimes, it may be safer for you and others involved to safely retreat than to engage the threat. North Carolina actually has laws that require you to make sure to safely store firearms to prevent anyone undre 18 from getting to or discharging the firearm. If the minor manages to get access to the guns illegally, then you are not at fault. 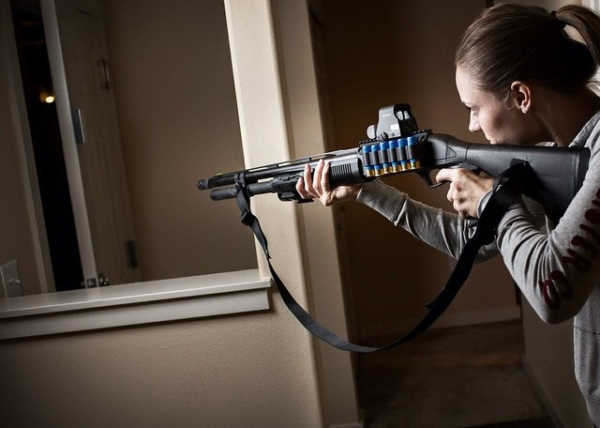 If you just leave your loaded firearms laying around when your family visits, however, and one of the kids gets their hands on it, not only will you have to deal with the fallout from your family, but also the criminal justice system as well. 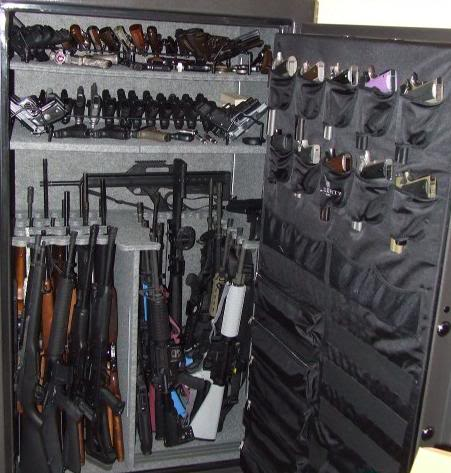 To keep your guns (and young visitors) safe, a sturdy and secure gun safe can do the job, while also keeping burglars away from your (very expensive) collection of firearms. You can never be too safe! Or have too much safe.